In recent years, many historians of Islamic mysticism have been grappling in sophisticated ways with the difficulties of essentialism. 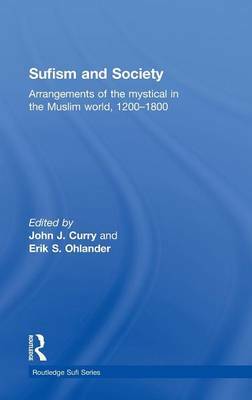 Reconceptualising the study of Islamic mysticism during an under-researched period of its history, this book examines the relationship between Sufism and society in the Muslim world, from the fall of the Abbasid caliphate to the heyday of the great Ottoman, Mughal and Safavid empires. Treating a heretofore under-researched period in the history of Sufism, this work establishes previously unimagined trajectories for the study of mystical movements as social actors of real historical consequence. Thematically organized, the book includes case studies drawn from the Middle Eastern, Turkic, Persian and South Asian regions by a group of scholars whose collective expertise ranges widely across different historical, geographical, and linguistic landscapes. Chapters theorise why, how, and to what ends we might reconceptualise some of the basic methodologies, assumptions, categories of thought, and interpretative paradigms which have heretofore shaped treatments of Islamic mysticism and its role in the social, cultural and political history of pre-modern Muslim societies. Proposing novel and revisionist treatments of the subject based on the examination of many under-utilized sources, the book draws on a number of disciplinary perspectives and methodological approaches, from art history to religious studies. As such, it will appeal to students and scholars of Middle East studies, religious history, Islamic studies and Sufism. "This diverse collection of papers will appeal to a variety of readers. Its focus on political, social, and cultural contexts, illustrates clearly that the history of Sufijism belongs within any full conception of Islamic history. Thus for historians of all stripes, these papers will offer novel insights for debate, and new materials for consideration." - Richard McGregor, Vanderbilt University; Journal of Sufiji Studies 2 (2013). '[This text] is a pioneering project that provides us with new insights. The proposed re-reading of the existing sources presents us with an excellent academic model for treating Sufi sources, especially hagiographies, which were subjected to a long history of scholarly suspicion... [The authors'] treatment of the socio-political contexts of Sufi activities at different points in time and place lays the groundwork and provides the instruments for new research of a broader spectrum.' - Arin Salamah-Qudsi; JERUSALEM STUDIES IN ARABIC AND ISLAM 39, 2012.